Keeping It Together With the Demi Hugger - Travel Better! Keeping It Together With the Demi Hugger – Travel Better! 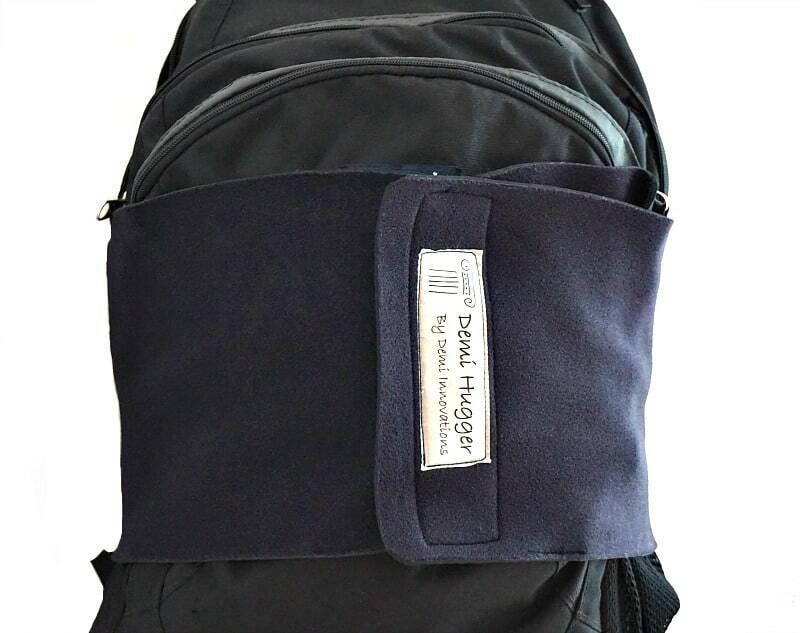 One of my new favorite travel accessories is a little handy gadget called the Demi Hugger. 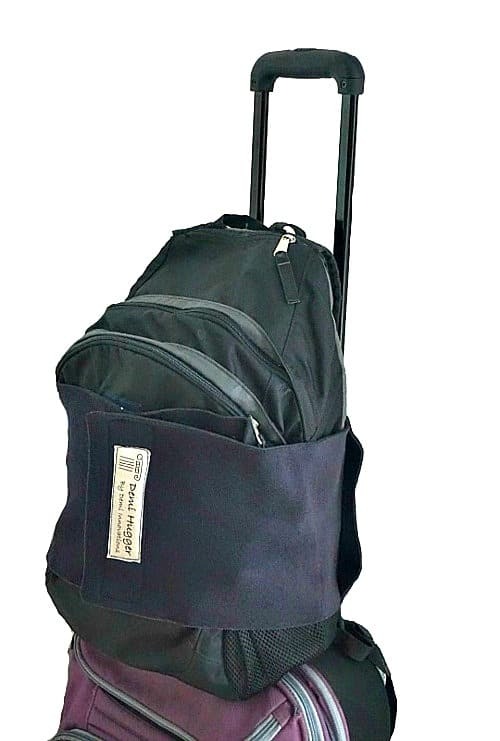 This slick device attaches my bulky backpack to the top of my suitcase securely so it no longer falls off when I’m getting on and off subways, running through the airport to catch a flight or traversing up and down sidewalk curbs. Before using the Demi Hugger, my backpack has fallen off during very inconvenient times more often than I’d like to admit. Sean was a little doubtful about whether the hugger, which is like a neoprene band with a sturdy velcro close, would work. After I started using it he has admitted to being quite jealous he didn’t snag one for himself. Note: Some links on this site are affiliate links, which means that if you click on them or made a purchase, we may receive a small referral fee. So click away! And if you do – thanks so much! We appreciate your support. And you can trust that we only recommend products that we have tested and use ourselves.